All our images are in PNG clip art with a transparent background in 300 dpi for a crisp, clean image for your projects. 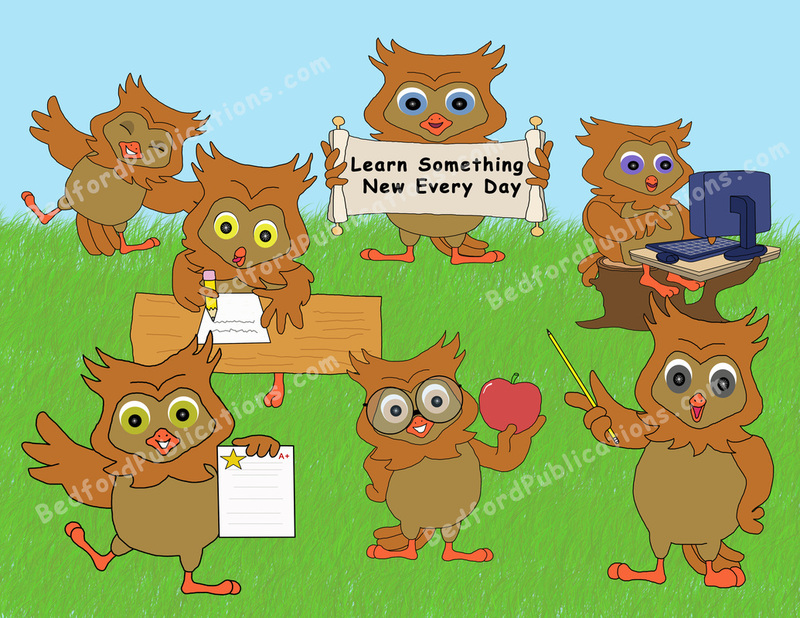 This is a collection of 14 clip art images of whimsical owls at school. There are 7 color PNG images and 7 black and white images all with a transparent background. Included are: Teacher owl, Owl makes an A, Owl giving apple, Owl with blank sign, Owl on the computer, Owl writing, Owl doing a happy dance. 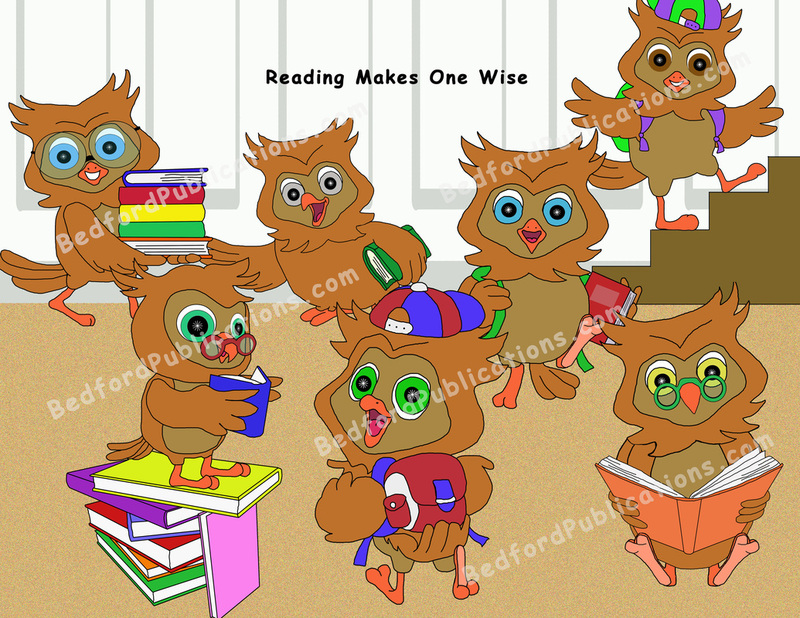 This is a collection of 14 clip art images of whimsical owls interacting with books. There are 7 color PNG images and 7 black and white images all with a transparent background. Included are: Owl atop books, Owl carrying books, Owl going upstairs, Owl reading a book, Owl with backpack, Owl carrying book and walking, Owl with book under its arm. 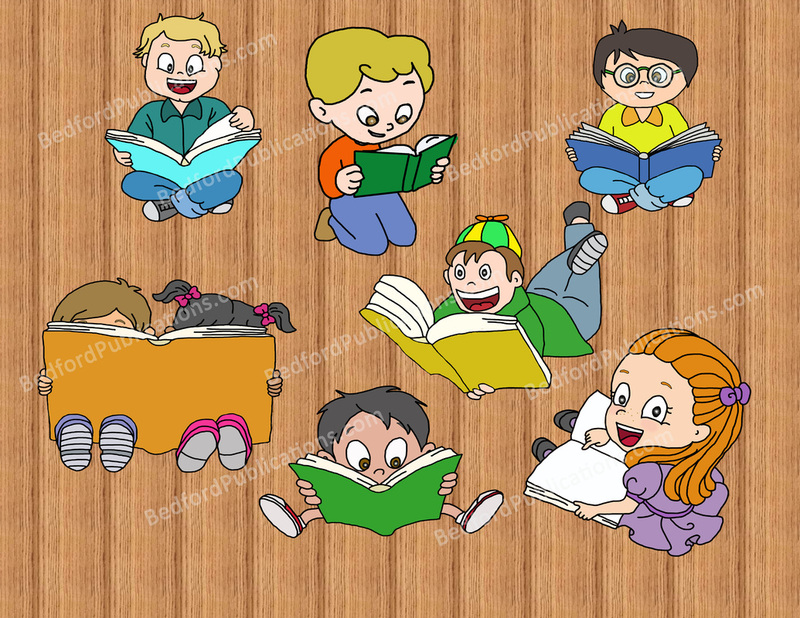 This is a collection of clip art images of children interacting with books. There are 14 PNG images (7 color and 7 black and white) with a transparent background. 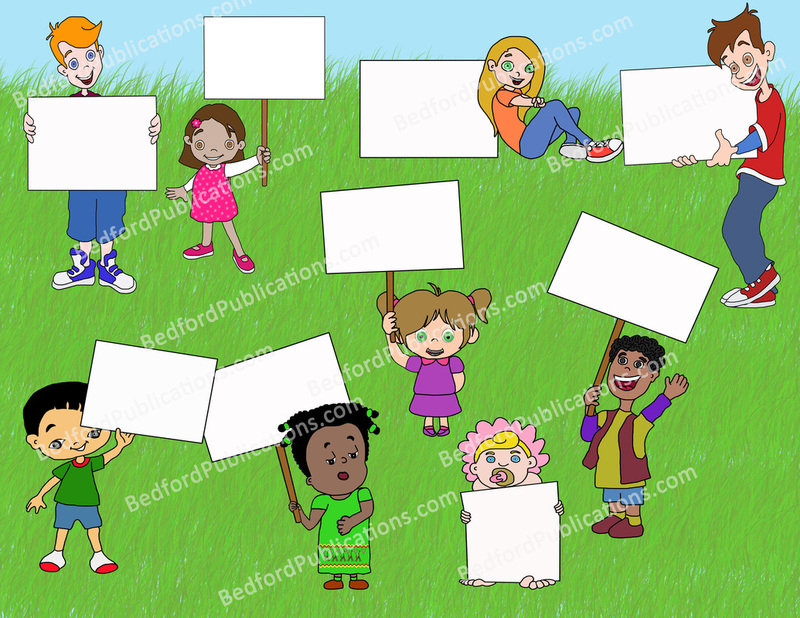 This is a collection of clip art images of children with blank signs. There are 18 PNG images (9 in color and 9 in black and white) with a transparent background. Included are: African girl, Asian boy, baby, boy in vest, brunette boy, blonde girl sitting, Hispanic girl, red haired boy and girl with braces. 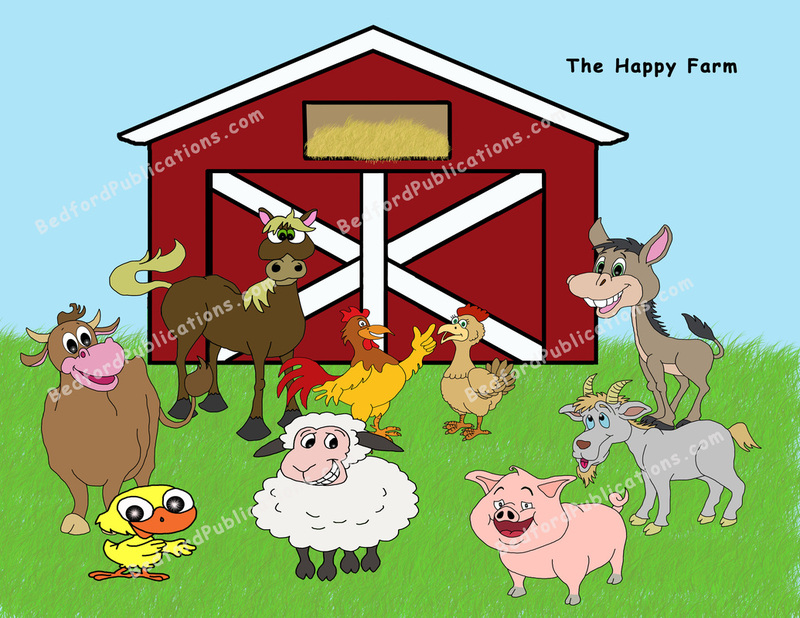 This is a collection of clip art images of whimsical, happy farm animals. There are 19 PNG images (10 in color and 9 in black and white) with a transparent background. Included are: a barn, sheep, pig, horse, hen, rooster, goat, cow, duck, and donkey. 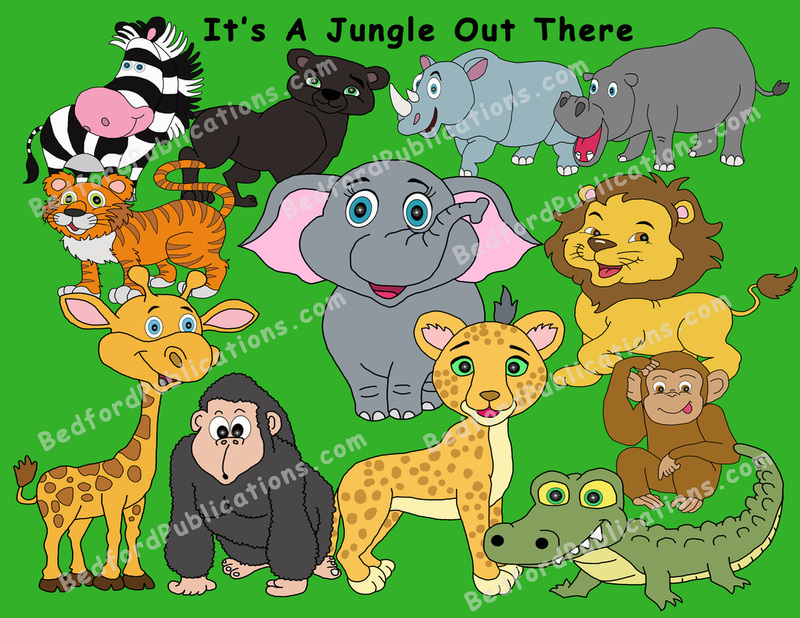 This is a collection of clip art images of whimsical jungle animals. There are 24 PNG images (12 animals in color and the same animals in black and white) with a transparent background. Included are: crocodile, cheetah, gorilla, giraffe, lion, elephant, tiger, zebra, panther, rhino and hippo. This is a collection of clip art images of whimsical ocean animals. There are 26 PNG images with a transparent background. There are 13 animals each in color and then in black and white. Included are: clam, crab, dolphin, jellyfish, lobster, octopus, sea turtle, seahorse, shark, starfish, stingray, swordfish and whale. 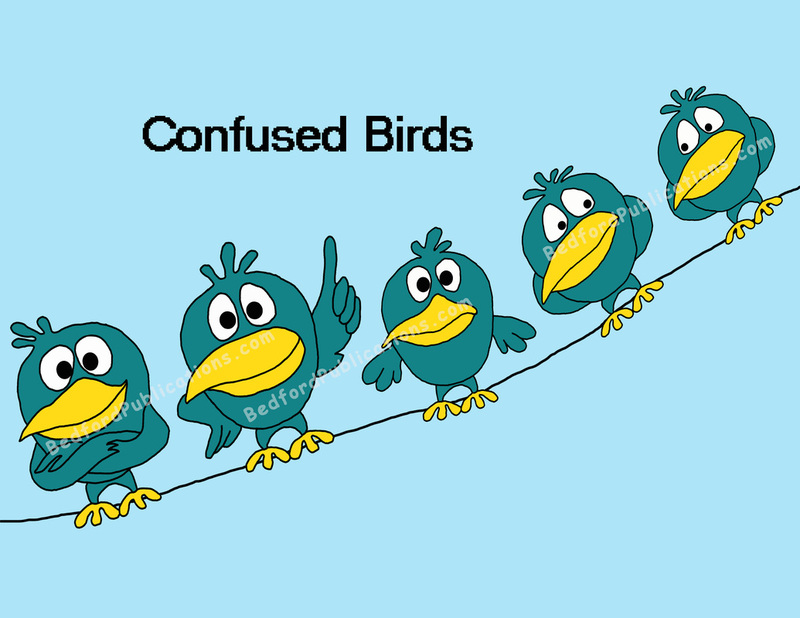 This is a collection of clip art images of a whimsical bird in 5 different poses looking confused. There are 10 PNG images (5 in color and 5 in black and white) with a transparent background. 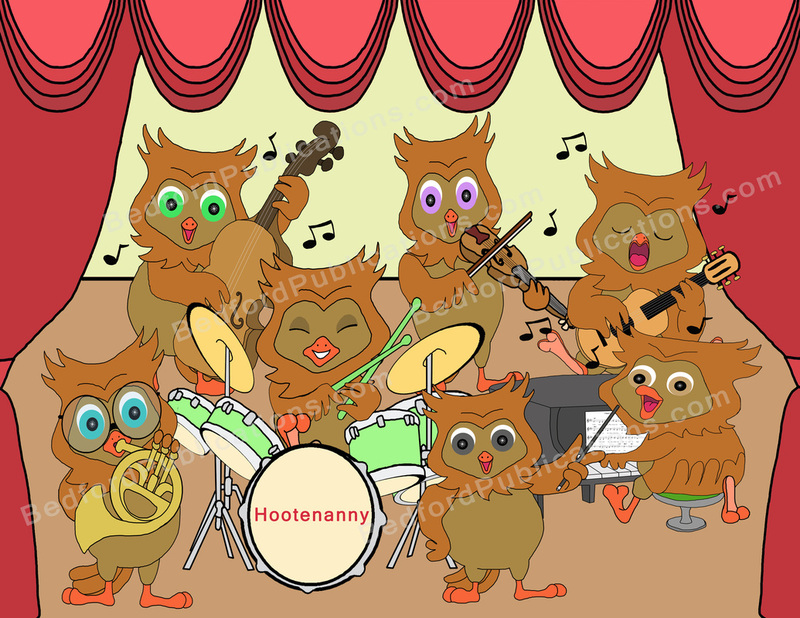 This is a collection of clip art images of whimsical owls playing musical instruments. There are 7 PNG images with a transparent background. Included are: Owl conductor, Owl playing double bass, Owl playing drums, Owl playing the french horn, Owl playing the guitar, Owl playing piano, Owl playing the violin. 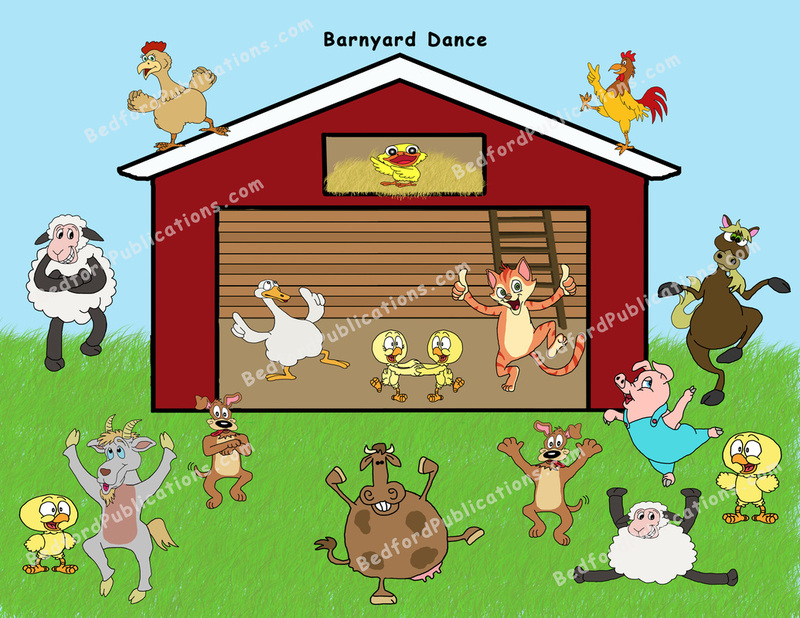 This is a collection of clip art images of whimsical dancing farm animals. There are 17 PNG images with a transparent background. Included are: a barn, sheep, pig, horse, hen, rooster, goat, goose, dog, cow, duckling, chicks, and cat. 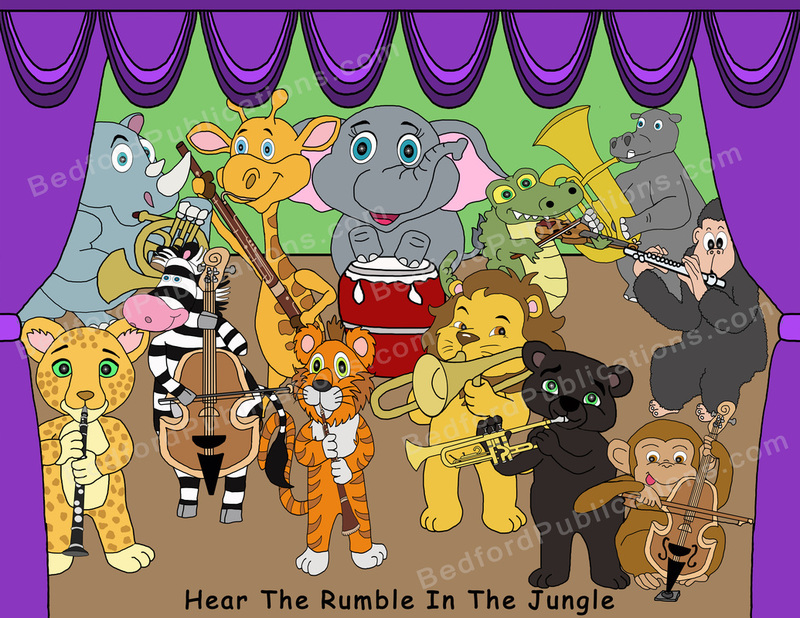 This is a collection of clip art images of whimsical jungle animals playing musical instruments. There are 12 PNG images with a transparent background. Included are: cheetah plays clarinet, crocodile plays violin, elephant plays bongos, giraffe plays bassoon, gorilla plays flute, hippo plays tuba, lion plays trombone, monkey plays cello, panther plays trumpet, rhino plays french horn, tiger plays oboe, and zebra plays double bass. 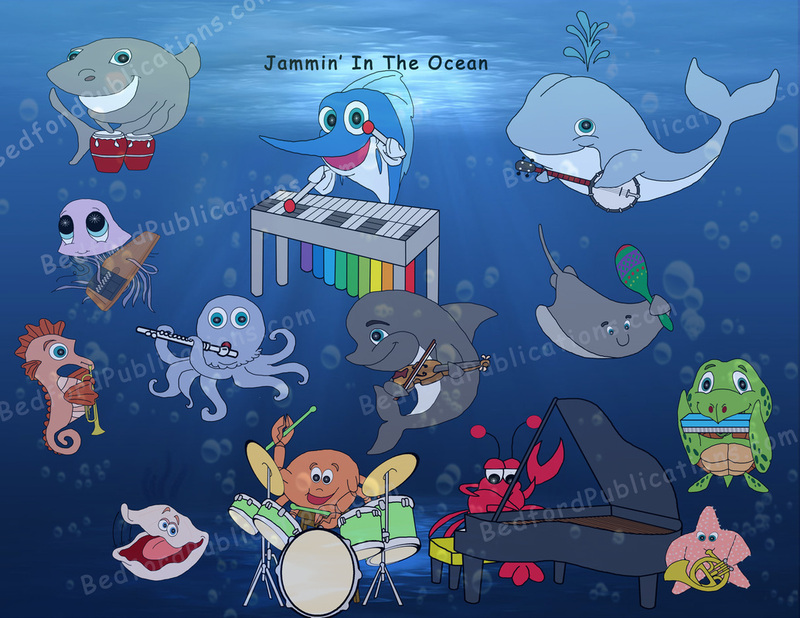 This is a collection of clip art images of whimsical ocean animals playing musical instruments. There are 13 PNG images with a transparent background. Included are: clam plays castanet, crab plays drums, lobster plays piano, dolphin plays violin, jellyfish plays autoharp, octopus plays flute, sea turtle plays harmonica, seahorse plays trumpet, shark plays bongo drums, starfish plays french horn, stingray plays maracas, swordfish plays vibraphone and whale plays banjo. This is a collection of clip art images of whimsical birds playing bluegrass musical instruments. There are 8 PNG images with a transparent background. 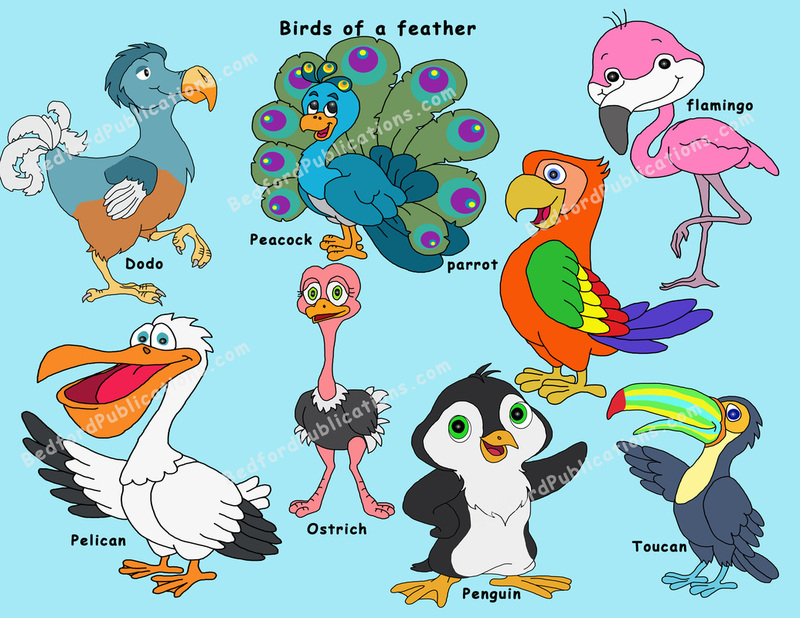 Included are: Dodo plays guitar, Flamingo plays drums, Ostrich plays harmonica, Parrot plays banjo, Peacock plays tambourine, Pelican plays fiddle, Penguin plays accordion and Toucan plays maracas. This is a collection of clip art images of whimsical singers. There are 13 PNG images with a transparent background so they fit in your project cleaner. They are 300 dpi for a crisp, clean image. There are 5 boy soloists and 6 girl soloists. There are two microphone on stand images as well.